A new wheel loader scale that easily installs into the host hydraulic system and features a compact and robust touch-display digital readout that mounts right in the cab is being introduced by Alliance Scale, Inc. of Canton, Massachusetts. The Alliance/Pfreundt Wheel Loader Scale is a heavy-duty weighing system that installs easily into the host hydraulic system and incorporates proximity switches for dynamic weighing during operation. Featuring a compact and robust electronics system with a touch-display that mounts directly in the cab, operators can always know how much material is being weighed and it has an interface comparable to a smartphone or tablet. 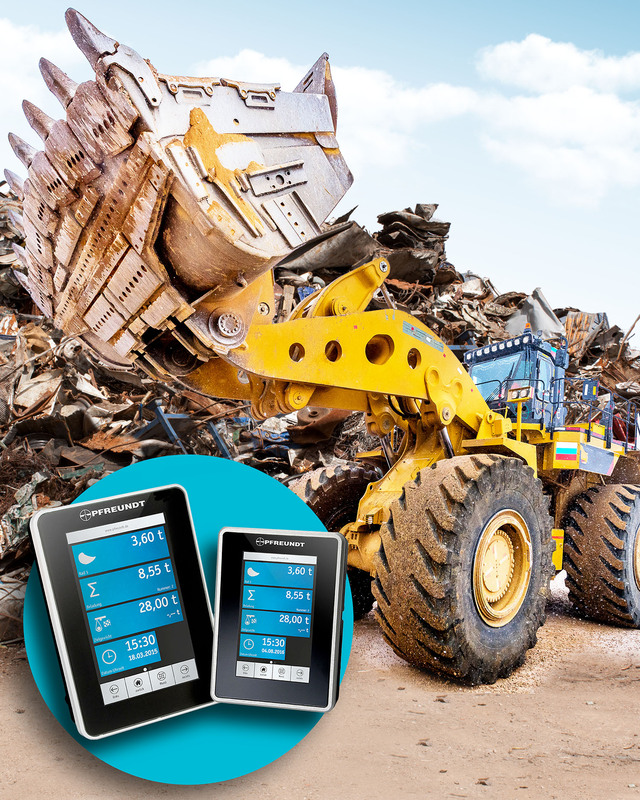 Equipped with interfaces for printers, networks, power supplies, and radio data transmission via WLAN, GPRS and GPS positioning, the Alliance/Pfreundt Wheel Loader Scale includes built-in support for ticket printing and global data access. Providing accurate weighing within ±1 percent, this onboard loader scale is a cost-effective alternative to a weighbridge. The Alliance/Pfreundt Wheel Loader Scale is priced from $3,850.00. Literature is available upon request.